Well that was fast! 2017 came and went in a blink of an eye. We were busy creating new products and building the brand as we met tons of great people along the way. This year alone we have done already 3 major food festivals in the Phoenix area. YES the vegan community is GROWING! People are becoming more health concious and treating themselves (along with the environment and animals) with consideration and compassion. We appreciate that and are happy to be a part of it. We have a bunch more great events coming up and will be doing some travelling into California for some of them. 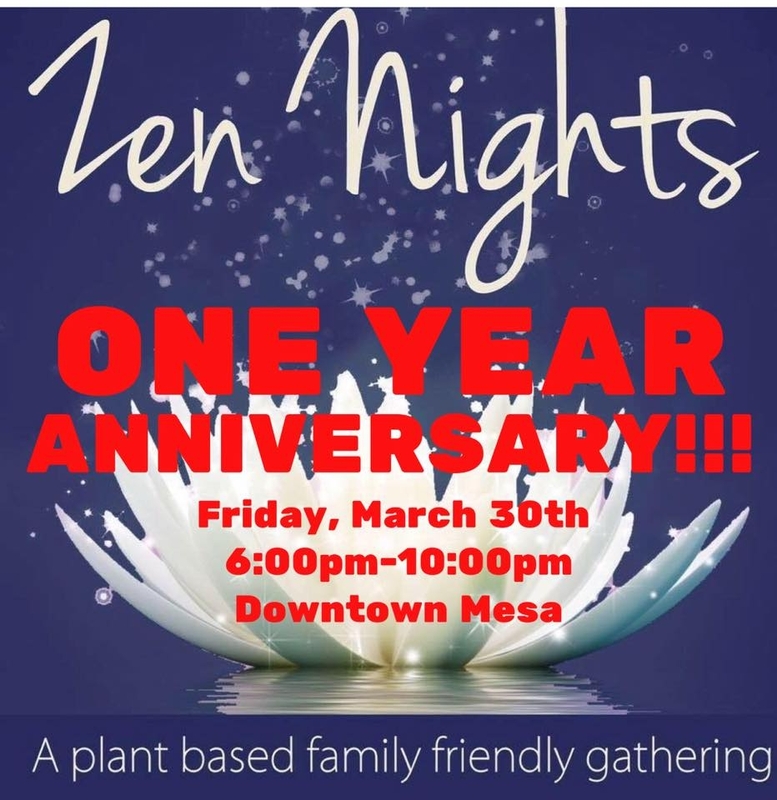 But first, NEXT WEEK marks the 1 year anniversary of a very special event that was created by some very special people, ZEN NIGHTS! This plant based gathering happens the last friday of every month from 6-10pm. It is a free event that takes place on Main st. and South Macdonald in downtown Mesa. Come out and enjoy an evening of plant based food, cruelty free vendors, live music and fun for the whole family. We will be there. In the meantime, have a great day!